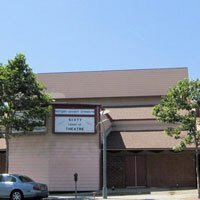 Santa Monica's Morgan-Wixson Theatre is the oldest (1946) theatrical organization in the city but, true to its artistic mission, it is constantly reinventing itself. MWT is a 200-seat house presenting Mainstage plays and musicals for general audiences, as well as the Youth Education/Entertainment Series (Y.E.S. ), which specializes in imaginative adaptions from children's literature. Y.E.S. was selected as the nation's Outstanding New Children's Theatre Company by the American Alliance for Theatre and Education in 2008.